Stevie J. Gets New Show On VH1 Scouting For Penthouse...With Mimi Faust! Stevie J. Gets New Show On VH1 Scouting For Penthouse…With Mimi Faust! You’ve got to admit, the man’s got some hustle…as he should given the massive amount of child support he owes to a former girlfriend and the fact he just had a baby with his ex Joseline Hernandez. Stevie J. isn’t exactly the poster child for respectful men, but I think that is about to change. 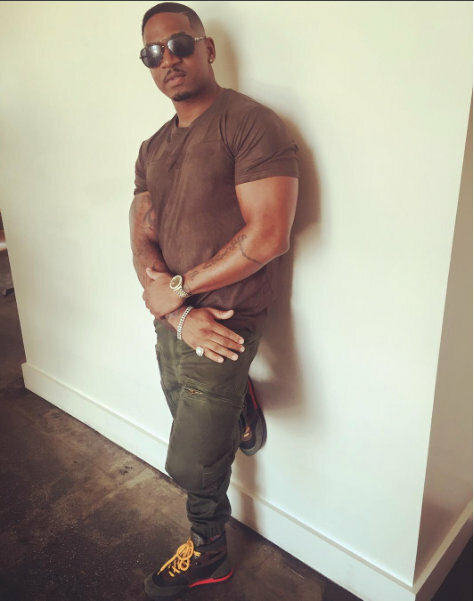 The Love & Hip Hop: Atlanta star has gotten his own competition show on VH1 which promotes women in the most Stevie J. way possible. Calling all cover girls, it’s time to hop aboard the Stebbie bus! According to TMZ, Stevie is hoping to garner some extra money with his latest endeavor with VH1, and it will have the reality star traipsing around the United States (and Canada!) to find eight lucky ladies to grace the cover of…wait for it…Penthouse. The premise of the show, which is deep obviously, has Stevie holding auditions for fresh faces in Atlanta, Chicago, Los Angeles, New York, Vegas, Houston, and Toronto in an effort to locate the perfect “Penthouse Pets.” Fabulous working title, right? Fear not, Stevie won’t be alone. Model Brit Eady (the ex of Rick Ross) will be in tow as well as Stevie’s ex Mimi Faust. Those two just can’t quit each other, can they? Filming is scheduled to begin in March, and I’m sure there will be some side drama courtesy of Mimi…she hates to see Stevie with any other ladies! I can’t wait to see how this plays out on VH1. Why do they keep giving this guy his own shows? TELL US – WILL YOU BE WATCHING STEVIE’S NEW SHOW? WILL THERE BE FRICTION BETWEEN MIMI AND BRIT? Love And Hip Hop Atlanta’s Stevie J & Joseline Hernandez Welcome Daughter Bonnie Bella!